North Texas A cappella Festival Saturday, May 11th @ Marcus HS Look for more information in the Spring of 2019! Tri-M National Music Honor Society Tri-M is an honor society sponsored by the National Association for Music Education that eligible students can be invited to join. Criteria for invitation are listed below. TMEA Music Scholars The TMEA Music Scholars award is awarded students that have shown academic, scholastic and dedication to their school music program. Students eligible for this award receive a certificate and patch to note their achievement form the Texas Music Educators Association. Criteria for the award are listed below. Back to School Bash – This is our first social event of the year. All students are invited for food and fun! Marcus Idol – Marcus Idol is a school-wide competition to find the best singers at Marcus High School. Each year, during the month of September, all Marcus students have the opportunity to audition to be a part of the Marcus Idol Show. Guest judges rate the performances. The combined judges’ scores equal 66% of the total score and the other 34% comes from audience votes through monetary donations. Together, the judges’ scores and the audience votes determine the Marcus Idol. Trophies are awarded to the students with the top three scores. There is $5 admission price at the door. Who will be the next Marcus Idol? Fall Cluster Concert – The High School and Middle School Choir programs in the Marcus Cluster combine to give the first concert of the year. Madrigal Dinner – The Marcus Choir Program established their rich tradition of the annual Madrigal Feaste in December of 2007. The Marcus cafeteria is transformed into a medieval castle and dining hall to replicate the Renaissance Feasts held in great halls throughout England. Festivities begin when guests are welcomed by the Royal Court amidst entertainment by choir members featuring a lighthearted play and music from the medieval to renaissance periods. The dinner consists of multiple courses served by the performers as roaming ensembles of musicians entertain. Traditional songs include the Boar’s Head Carol, which is accompanied by the procession of the boar’s head, and the Wassail Song, to which guests are invited to join in on the celebration with a toast. 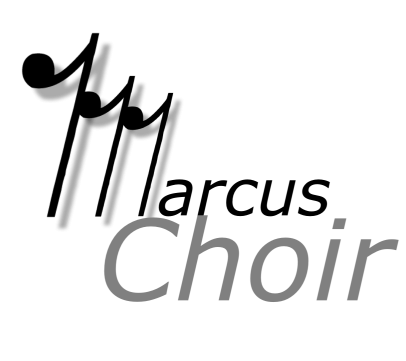 A concert of choral music follows the meal and the evening concludes with an invitation from the Royal Court to enjoy desserts as they mingle among the performers and other guests. The 2018 Madrigal will be Friday, December 7th @ 7pm, Saturday, December 8th @ 4pm and 7pm. Tickets go on sale in late October. Space is limited. Don’t miss your opportunity to attend! Coffeehouse Concert – This fun, themed concert showcases choir, solo and group performances. Students from all choirs can audition for solo and groups spots. Enjoy drinks and sweet treats as well. Spring Concert – Come and enjoy the culmination of the year’s work in this concert. Groups perform selections from UIL literature in addition to new music. We also recognize our graduating seniors for their contributions to the Marcus Choir department over the years.